Tomoe was a rare female samurai warrior (onna bugeisha), known for her bravery and strength. She is believed to have fought and survived the Genpei War (1180–1185). Tomoe was especially beautiful, with white skin, long hair, and charming features. She was also a remarkably strong archer, and as a swordswoman she was a warrior worth a thousand, ready to confront a demon or a god, mounted or on foot. She handled unbroken horses with superb skill; she rode unscathed down perilous descents. Whenever a battle was imminent, Yoshinaka sent her out as his first captain, equipped with strong armor, an oversized sword, and a mighty bow; and she performed more deeds of valor than any of his other warriors. took Kyoto and desired to be the leader of the Minamoto clan. 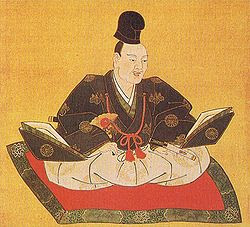 His cousin Yoritomo was prompted to crush Yoshinaka, and sent his brothers Yoshitsune and Noriyori to kill him. 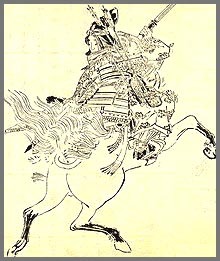 Yoshinaka fought Yoritomo's forces at the Battle of Awazu on February 21, 1184, where Tomoe Gozen purportedly took at least one head of the enemy. 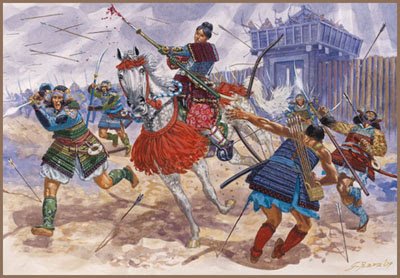 Although Yoshinaka's troops fought bravely, they were outnumbered and overwhelmed. When Yoshinaka was defeated there, with only a few of his soldiers standing, he told Tomoe Gozen to flee because he wanted to die with his foster brother Imai no Shiro Kanehira and he said that he would be ashamed if he died with a woman. 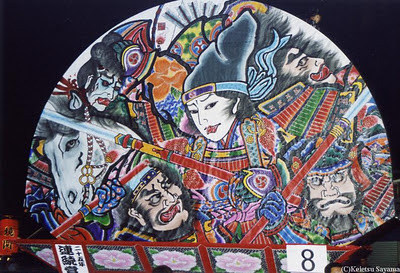 Tomoe Gozen was the prototypical Japanese female warrior. She had "long black hair and a fair complexion, and her face was very lovely; moreover she was a fearless rider, whom neither the fiercest horse nor the roughest ground could dismay, and so dexterously did she handle sword and bow that she was a match for 1,000 warriors, fit to meet either god or devil." A woman so dashing deserves to be better known. She figures, all too fleetingly, in the "Heike Monogatari," the 13th-century chronicle of the 12th-century Genpei War, the classic confrontation between the Taira and Minamoto military clans. "As you are a woman, it were better that you now make your escape." ... "Woman's surrender of herself to the good of her husband, home and family," wrote Nitobe, "was as willing and honorable as the man's self-surrender to the good of his lord and country. Self-renunciation ... was the keynote of the loyalty of man as well as of the domesticity of woman ... In the ascending scale of service stood woman, who annihilated herself for man, that he might annihilate himself for the master, that he in turn might obey Heaven."
. Mori Sumio 森澄雄 . The Chinese characters 義仲 can be read Gichuu too. The temple with his grave is Gichu-Ji, see below. was a general of the late Heian Period of Japanese history. A member of the Minamoto samurai clan, Minamoto no Yoritomo was his cousin and rival during the Genpei War between the Minamoto and the Taira clans. Yoshinaka defeated the army of Taira no Koremori at the Battle of Kurikara Pass and marched to Kyoto. The Taira retreated out of the capital, taking the child Emperor Antoku with them. Three days later Yoshinaka's army entered the capital and the cloistered Emperor Go-Shirakawa bestowed upon him the title of Asahi Shogun. However, his army ransacked Kyoto, and the emperor ordered him to attack the Taira in order to get the army out of the capital. He was buried in Otsu, in Ōmi; a temple was built his honor during the later Muromachi period. Its name, Gichū-ji, has the same two kanji as his given name. 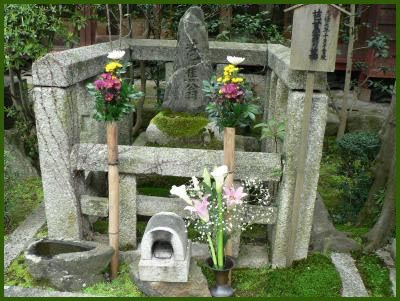 Kanehira's grave is also in Otsu, but it is not close to Yoshinaka's. The Edo period poet Matsuo Basho, pursuant to his last wishes, was buried next to Minamoto no Yoshinaka in the temple Gichu-ji . Minamoto no Yoshinaka is one of many main characters in the Kamakura period epic, the Tale of Heike. 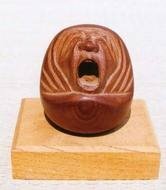 The story of Yoshinaka and Kanehira is fairly well known in Japan; it is also the subject of the Noh play "Kanehira", in which Kanehira's tormented ghost describes his and Yoshinaka's death, and his wish to go to the other side.
. Basho at Tsuruga, Hiuchi ga joo 燧が城 - 火打城 Hiuchi Castle .
. Taira no Kiyomori 平清盛 .
. WKD : Memorial Days of Famous People .
. tomoe 巴 family crest .